This year’s Big Lens Film Festival will feature five world premiere films, diverse in their subject matter and style. The 20th annual Big Lens Film Festival will showcase short films by students in the award-winning Wright State University Motion Pictures Program. Films from previous years have gone on to screen at major industry festivals around the world. Screenings will be held Thursday, June 7, at 7:30 and 9:30 p.m. at The Neon movie theater in downtown Dayton. Audience members can participate in a Q&A with the young filmmakers following the screenings. Tickets are $7 at the door. 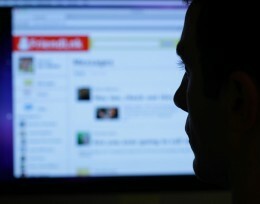 After separating himself from society, Ben Jacobs becomes immersed in the darker side of online social networking. Once he takes a relationship offline and into the real world, Ben quickly realizes that the woman of his obsession is not who she seems. “With Profile, I wanted to explore the dichotomy between the personas people display online and the lives they lead in the real world—and how easily that line can be blurred,” said John Swansiger, the film’s director. Profile was selected as a semifinalist for a Student Academy Award. Six months after her divorce, Sarah finds her life lacking the stability she expected. She has no shortage of troubles; a stubborn mother, nosy coworkers and adjusting to joint-custody has not made life easy. At least she has Kris, her new female partner, who provides much-needed comfort, not to mention some artistic flair. But when Sara overhears her daughter refer to Kris as “Mommy,” Sara unexpectedly finds herself re-examining her identity. What is a mother? A partner? A family? In With the New asks these questions as Sara struggles to find herself between her old life and the new. His day-to-day life has become nothing more than a routine. Now working for the university he once attended, in the same city in which he grew up, he believes himself to be stuck. Discover the inner-workings of a twenty-something male living in America today as he questions the meaning of originality. 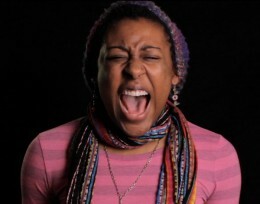 Women Who Yell is a response to the negative representations of women in the media. Young women of different sizes, ethnicities and walks of life are given the spotlight to shout, scream, cry and confess what they feel is important to them. This empowering montage gives women a space to express anger, to make jokes and to let their voices be heard, yelling loud and clear. Calvin has lost everything. He is homeless and his everyday struggle to survive relies on the search for odd jobs and a new friend, Lilly. His longing for his ex-girlfriend, Regan, and former life prevents him from moving forward. One day, going through his normal routine, a chance encounter with Regan causes him to reflect on where he is now and where he could be.